With Viet Nam under intense international pressure to tackle rampant wildlife crime, over 225,000 people have signed a WWF petition calling on the authorities in Hanoi to crack down on the illegal wildlife trade. In recent years, Viet Nam has become a major global wildlife trafficking hub, with rhino horns, ivory tusks, tiger parts and pangolin scales openly for sale in the country or being smuggled through it to other markets, particularly China. But very little has been done to stop this. Indeed, there has not been a single recorded prosecution of any rhino horn or ivory trafficking kingpins, despite all the available evidence, including material gathered by the Wildlife Justice Commission during its investigations. Dismayed by Viet Nam’s failure to act, over a quarter of a million people from 154 countries added their voices to WWF’s call for urgent measures to be taken. Addressed to Prime Minister Nguyen Xuan Phuc, the petition was officially handed over to the Vietnamese authorities the day before an international illegal wildlife trade conference in Hanoi began– demonstrating that people around the world are watching what is happening in Viet Nam. The petition was deliberately timed to coincide with the Hanoi conference to build as much international pressure as possible on the Vietnamese authorities to act. And they did announce some important steps during the meeting, pledging to strictly monitor domestic markets and eradicate illegal wildlife trade points, strengthen law enforcement, and improve cross border cooperation. But much more still needs to be done. 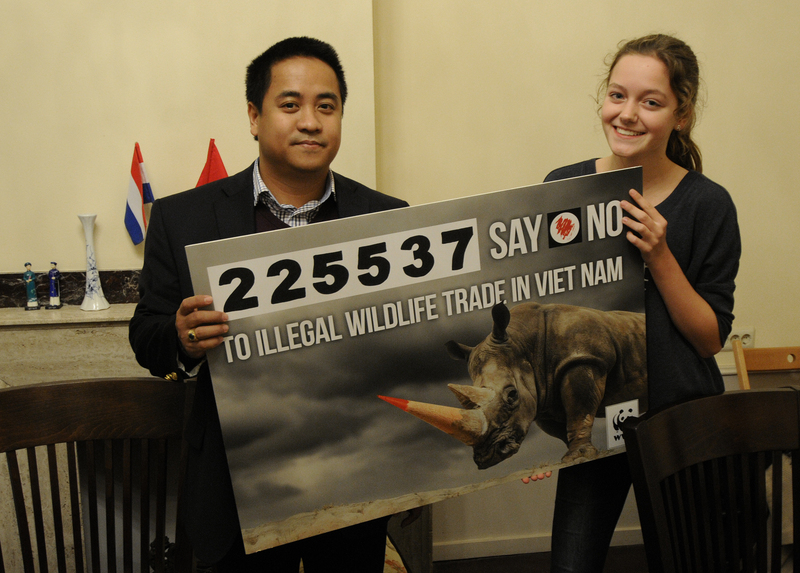 “Viet Nam can no longer turn a blind eye to wildlife crime because the world is watching,” said Kirsten Schuijt, CEO of WWF Netherlands, which was the driving force behind the petition. 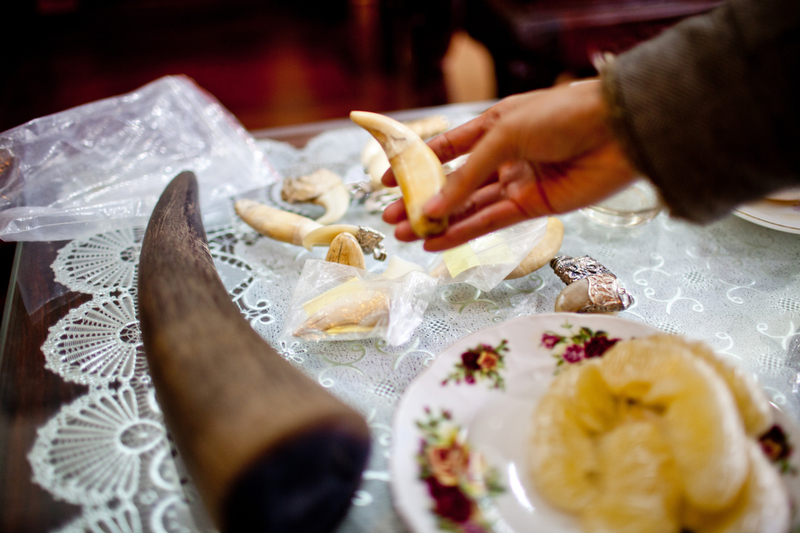 A rhino horn and tiger teeth for sale on the table of a black market animal trade dealer at his home in Hanoi, Vietnam. 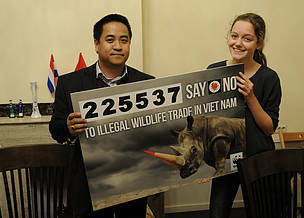 Vietnam is the world’s largest recipient of illegal rhino horn from South Africa. African elephant (Loxodonta africana), bull with large tusks. 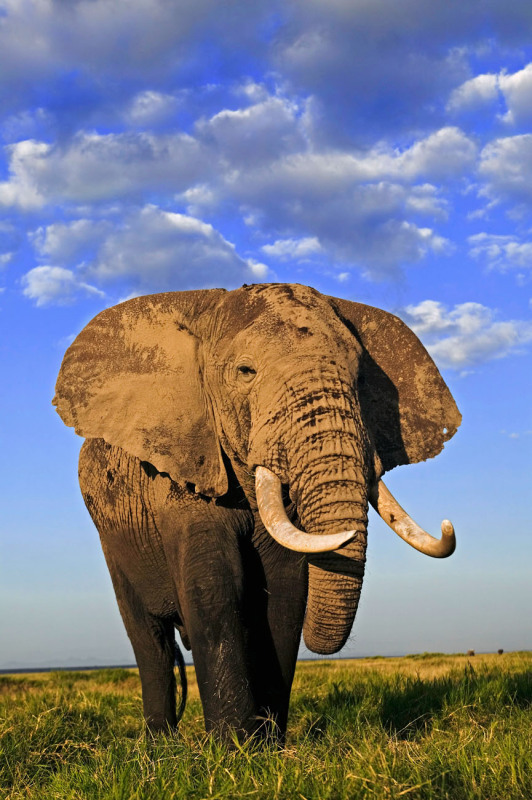 Amboseli National Park, Kenya.